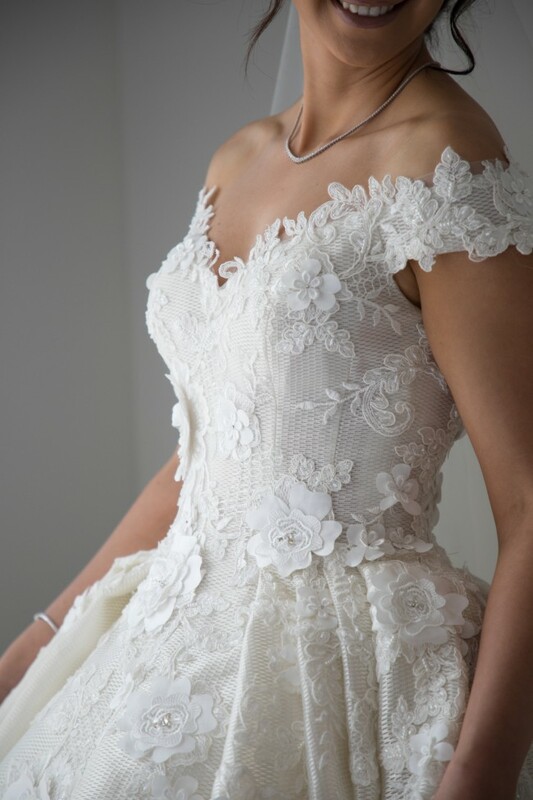 My wedding dress was custom designed by the most talented Australian designer, Steven Khalil. It is a grand and elegant but simple and timeless design which will make a royal statement for any type of wedding due to the beaded detail and princess-like shape . I got married in April, 2018. I love my dress and still remember how it made me feel on the day. Steven worked with me closely in drawing my ideas together. The fitted bodice is extremely flattering and comfortable. The dress is not detachable but can be hooked up and becomes easy to move when dancing. Internally, the fitted bodice corset has a waist band and cups, giving it a supported, stunning hourglass structure. It breaks my heart to sell my dress, but I can see its value is in the happiness it brings to its future bride to be - not sitting in the cupboard for no one to see! I would be happier for another woman to amaze the crowd and feel just as special in it on her wedding day. Matching veil is also included in the price. I have the original tag. The dress is professionally dry cleaned and is still in pristine condition. The size is between 6 - 8 AU with B - C cup size. My height is 167cm and I wore a 10cm heel. If you would like to see more photos or have any questions, please do not hesitate to contact me. I hope you find your dream dress.